I’m going to come clean. I skipped a step. I did it intentionally because this is a fairly “dry” topic as it relates to backlink building and SEO. Heck, many people probably feel that SEO is a fairly “dry” topic itself. So this is the driest part of a dry topic. Eesh. How’s that for an intro designed to pull you in? My content writing mentors would be dying right now! Anyway, before you begin the backlink building, SEO campaign, you should create a Scrap File (to be defined later in the article). This is particularly true if you are a website design agency or a digital marketing agency and you may be working on multiple campaigns or multiple clients simultaneously. The SEO Scrap File will save you tons of time, effort, and wasted motion. What is an SEO Scrap File? In our world, a scrap file is a Google doc that contains little helpful “scraps” of information that we can easily copy and paste as we need it. In this scrap file, we will have all the text information that we will be using over and over again across a large number of websites and online directories to create backlinks and business profiles to each of our client’s websites. The concept is: gather it and/or create it once, in advance, put it all in one convenient place … so you can copy/paste it many times. What Information Goes in My SEO Scrap File? A short blurb (250 words or less) describing the business. Direct links to all other important SEO terms / landing pages. 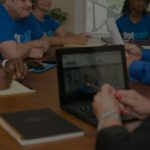 For example: It is important to my company to rank well for South Jersey Website Design – so we created a landing page here: https://dotcomglobalmedia.com/nj/web-design/south-jersey-nj-website-design that points directly to that page. If you have dozens of these sorts of pages made, it is very helpful to have all of these pages listed in the Scrap File so you can easily copy and paste this information. Trust me, the more time you take to make this SEO Scrap File, the more time you will save in the long run because you will use this information over and over again across many websites and online web directories. As I have been doing for this entire series, I will show you some of the information from an actual SEO Scrap File. This also serves our purposes, because we are building important backlinks to some of our client sites as we are sharing our SEO tips with you. In the following example, this is the actual scrap file we use to copy/paste from as we drop information into websites and directories across the web – for the AUTHORITY WEBSITE we are creating for the Active Yards fence dealers we are working with. Building backlinks for SEO is a very repetitive process. 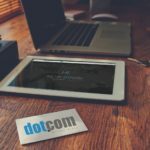 Whether you are working on 1 website or a large number of websites like we do at DotCom, it is better to put all the information together on the front end in the SEO Scrap File than to constantly be jumping all over the place to find the information or to type it all over and over again. 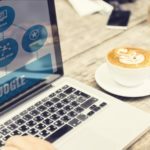 In our next article, we will look at just how repetitive it actually can get as we do a deep dive into creating actual backlinks by creating profiles on high-authority websites.